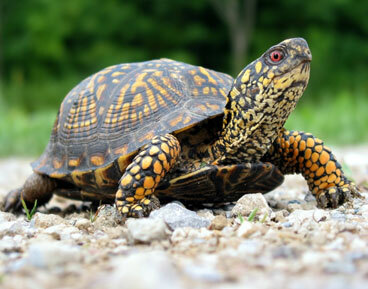 Today's Flash Fiction Friday story is: The Turtle. "Yes you did," I said. "You definitely said something." "You didn't say, 'Who's that?" "No I'm not. You said, 'Who's that?'" "Oh shut up and drink your coffee." That's when I saw the turtle. I was green, about the size of a computer mouse. A computer mouse with four legs a head and a tail extending from it. It looked at me and said, "Who is that?" I stared at it. "Who is who?" "That lady in that chair, who is that?" the turtle asked. "That's my wife." Yes, I was talking to a turtle. No, I didn't think about how strange that was. "Well, she's in my chair." "Yes, tell her to get out of my chair." "You tell her." There, I showed that turtle. "She can't hear me, only you can." "What, dear?" my wife asked. "Tell her to get out of my chair?" the turtle said in a voice that was so loud it shook the Starbucks. "Damn, that lightning is close," my wife said. "Lightning. Didn't you hear the thunder?" "We should go," I said. "Get home before it starts raining." "Yes, go," the turtle said. "Get the dumb broad out of my damn chair." "No," my wife said, "let's stay here and relax." "We need to go," I said, looking about anxiously. Was no one else noticing the talking turtle? "Get out," it yelled and again the Starbucks rattled. The baristas looked up with fright etched in their eyes. "Well, I'm leaving," I said, and walked toward the door, tried to push it open, only to find it was locked. Not locked with the built-in lock, but someone hand put a chain around it outside and locked the chain with a padlock. We were trapped. Trapped in a Starbucks with a manic talking turtle who had powers I couldn't comprehend. "Fine," my wife said, "we'll leave." "Oh, now we can't leave, and why not?" "Really?" she said, and pushed it open walking outside. That's when it started to rain.